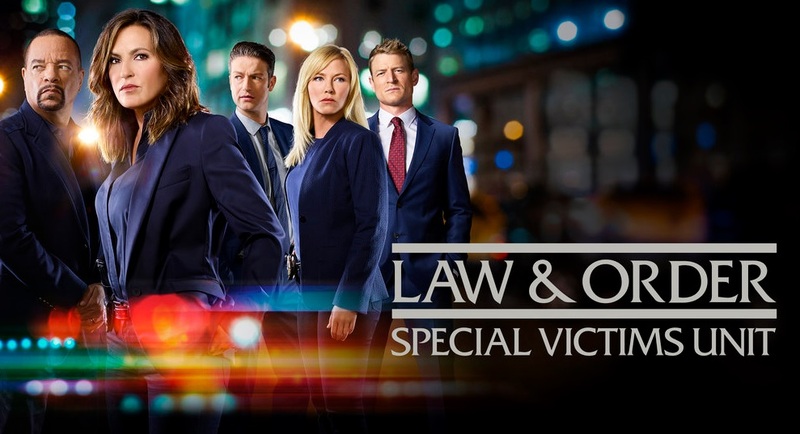 Law & Order: SVU season 19 episode 17 entitled “Send in the Clowns” is airing on Wednesday night, and we’re now getting a chance to learn a little bit more about Haley Sadler, the woman at the center of the hour. Who is Haley? Basically, she is a young woman who came to New York City on some sort of school trip, but soon after that went missing. As a result of this there is a mad scramble to find her and her parents, understandably, are both upset and terrified that something could have happened to their daughter. They are eager to help, but the more that we learn about this case, the clearer it starts to become that this is not going to be your cut-and-dry mystery that is easy to solve. As a matter of fact, we could be looking at a situation here in which it is incredibly challenging to find answers. The two sneak peeks below (via SpoilerTV) offer up a little bit of insight regarding Haley’s profile, including that she doesn’t seem to have any specific motive to run away from her parents. More than that, though, they don’t suspect that she had a fake social-media profile or anything that some teenagers have in order to mask their true activities from their parents. At first glance, this does not look as though this is going to be a case that is just Haley running away. What the SVU finds on the other side of their search could prove sinister, and they have to be prepared for it. The details that are out there about this episode tease that eventually some sort of masked figure is going to get themselves involved in this case. We’re going to go ahead and say that this is something that you should prepare yourself to see in advance. What do you want to see on SVU season 19 episode 17? Be sure to share right now in the attached comments below!